Concerns raised by the family of an Indigenous teen who died in northern Ontario more than four decades ago have prompted the province’s police force to take a fresh look at the case, the lead investigator said Thursday. The death of 19-year-old Audrey Anderson had been ruled an accident in 1972 when her body was found by the side of a road in Sioux Lookout, Ont. 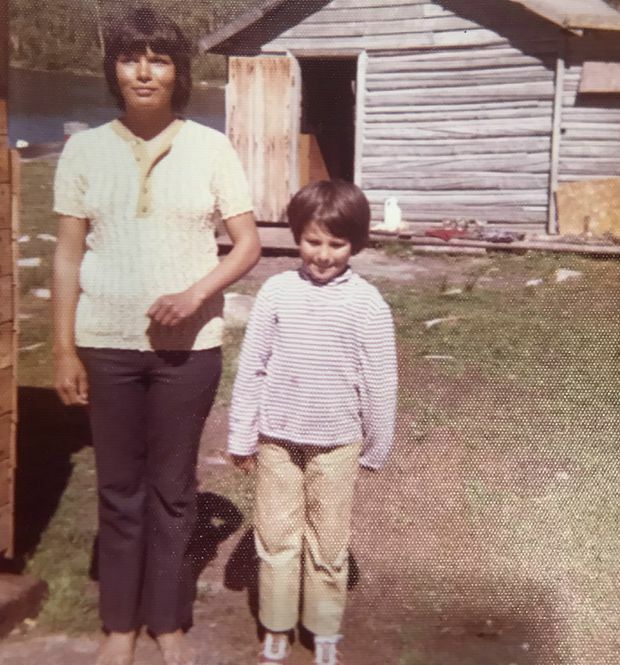 Audrey Anderson, left, who died in 1972, is shown with her younger sister in a handout photo provided by the Sioux Lookout RCMP. But when her family members raised her case relatively recently with a federally funded office meant to gather information on missing or murdered Indigenous women, the matter was back on the police radar. Ontario Provincial Police Det. Insp. Gilles Depratto said numerous unspecified “inconsistencies” have emerged, prompting law enforcement and medical officials to take a more detailed and skeptical look at the circumstances around Ms. Anderson’s death. “We’re looking at it with a view that this young lady died at this location and not all the information fits, so we’re having a second look at it,” the officer said in a telephone interview. Ms. Anderson, who hailed from a rural area east of Sioux Lookout, was last seen on Oct. 11, 1972, at a local restaurant, Mr. Depratto said. While she worked a number of jobs in the area, she was at the business that night solely as a patron, he said. Mr. Depratto said the investigation at the time revealed Ms. Anderson was last seen leaving the restaurant at around 1:30 a.m. in a pickup truck with two men. Her injured body was found lying on the shoulder of a road hours later. The coroner’s office of the day ruled that Ms. Anderson died as the result of a motor-vehicle accident and did not treat the death as suspicious, Mr. Depratto said. One of the men seen leaving the restaurant that day was initially charged with failing to remain at the scene of an accident, but never stood trial after the charge was dismissed due to lack of evidence, Mr. Depratto said. Ms. Anderson’s death went unchallenged for decades, but her family continued to have many unanswered questions, Mr. Depratto said. When the federal government established Family Information Liaison Units across the country two years ago, which were specifically designed to help Indigenous families gain information about female loved ones who may have been killed or gone missing, Ms. Anderson’s relatives came forward. Mr. Depratto said the unit then asked provincial police to re-examine their files, adding that it wasn’t long before officers grew skeptical of previous findings. Mr. Depratto said police are still seeking answers as to what happened to Ms. Anderson, and are appealing to members of the public for answers. Anyone with information about Ms. Anderson’s death is encouraged to call an OPP tip line at: 1-807-738-5296.